Q. What are the different types of surfactants? A. Anionic surfactants – These have a negatively charged end of the molecule that gives it the hydrophilic part of the molecule. These negatively charged parts of the molecules are usually sulfonates, sulfates, or carboxylates that are usually neutralized by positively charged metal cations such as sodium or potassium. Examples include sodium alkylbenzene sulfonates, sodium stearate (a soap), and potassium alcohol sulfates. Anionic surfactants are ionic and are made up of two ions positively charged, usually metal, ion and a negatively charged organic ion. Nonionic surfactants – These are surfactants that have no ions. They derive their polarity from having an oxygen–rich portion of the molecule at one end and a large organic molecule at the other end. The oxygen component is usually derived from short polymers of ethylene oxide or propylene oxide. Just as in water chemistry, the oxygen is a dense electron-rich atom that gives the entire molecule a partial net-negative charge which makes the whole molecule polar and able to participate in hydrogen bonding with water (as discussed in the first chapter). Examples of nonionic surfactants are alcohol ethoxylates, nonylphenoxy polyethylenoxy alcohols, and ethylene oxide/propylene oxide block copolymers. Cationic surfactants – These are positively charged molecules usually derived from nitrogen compounds. They are not commonly used as cleaning agents in hard-surface cleaners because of the tendency of the cationic positively charged molecule to be attracted to hard surfaces (that usually have a netnegative charge). Many cationic surfactants have bacteriacidal or other sanitizing properties that are useful in creating disinfectants that leave a cationic disinfectant film on the surface. 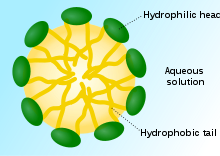 Amphoteric surfactants – Those surfactants that change their charge with pH. They can be anionic, nonionic, or cationic depending on pH. Usually, any one amphoteric can be any two of the three charge states. Further questions about types of surfactants? Or what they mean for your cleaning process? We are happy to discuss! ← Is there an equivalent to Xylene in the Alconox product line?